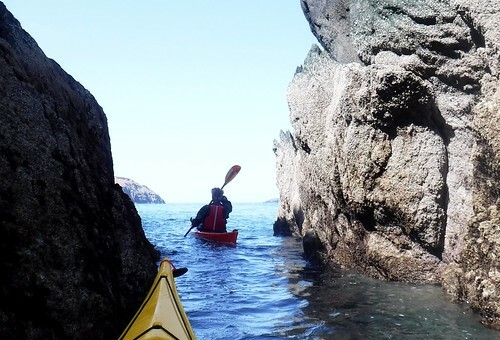 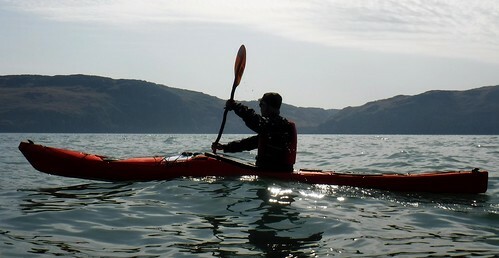 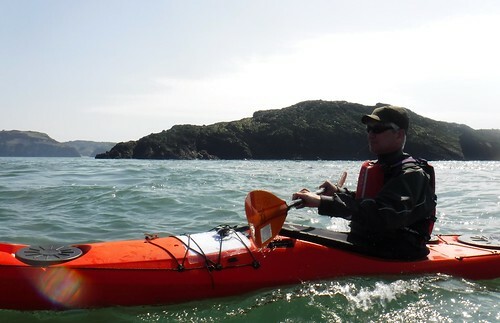 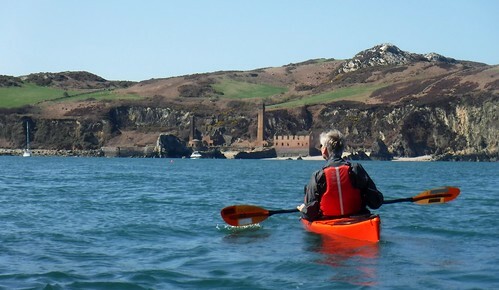 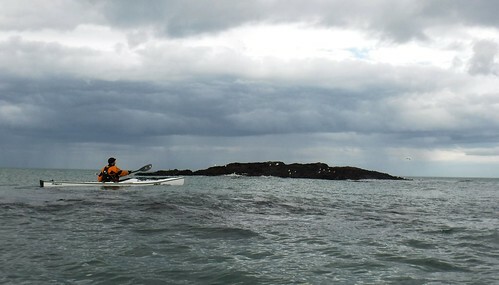 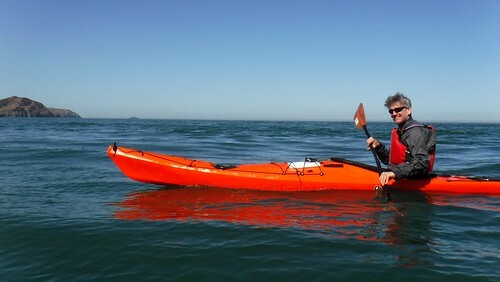 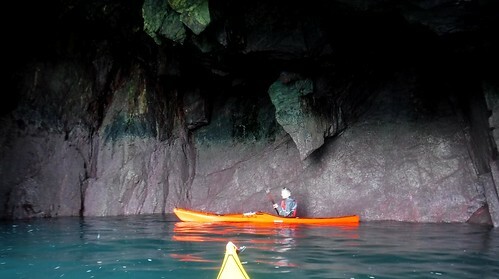 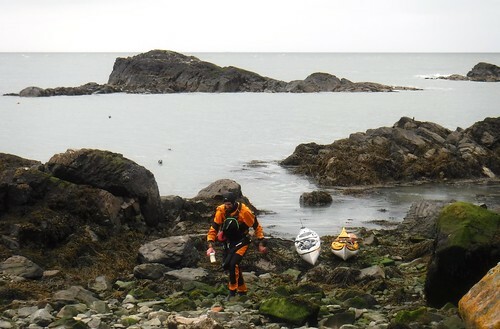 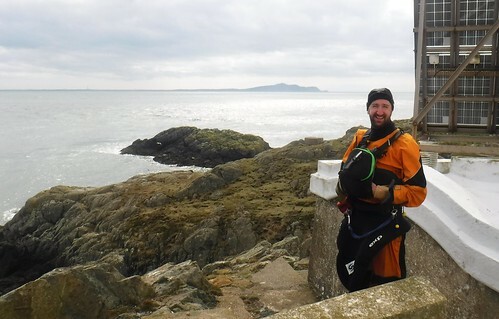 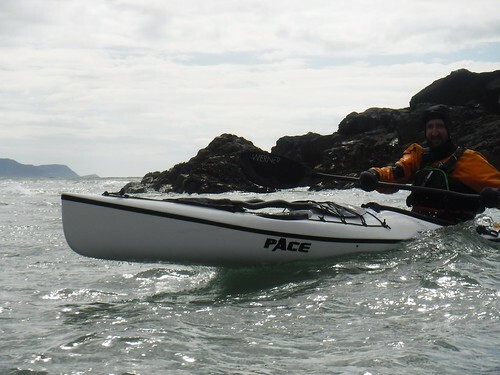 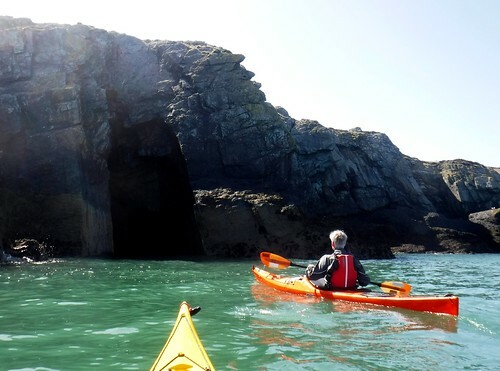 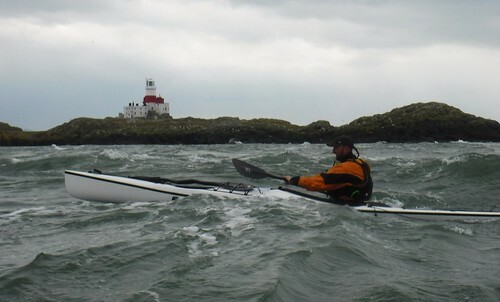 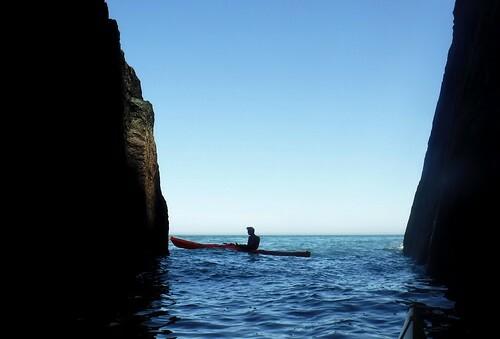 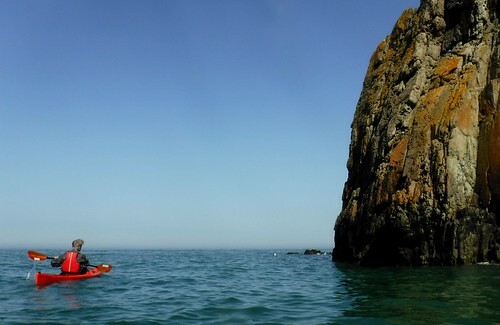 On this fabulous day of sun, warmth and calm seas, Wolfgang and I set off for Porth Llechog (Bull Bay) to explore, by sea kayak, Anglesey’s beautiful north coast. 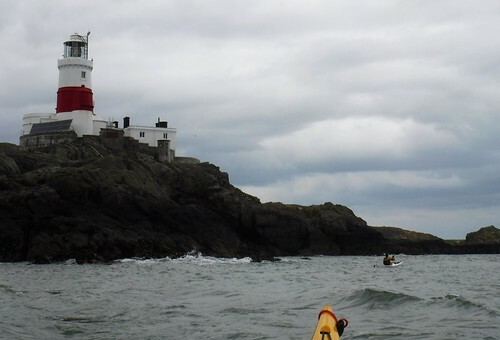 Our plan was to head West, against the flooding tide to Llanbadrig church before venturing offshore to Ynys Badrig (Middle Mouse). 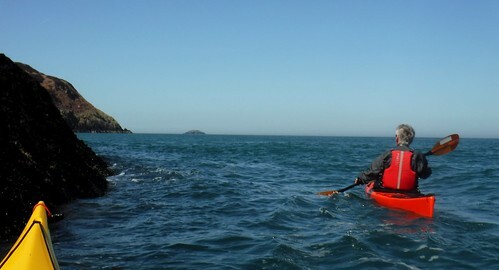 Our return leg included a porpoise sighting and a curious grey seal. 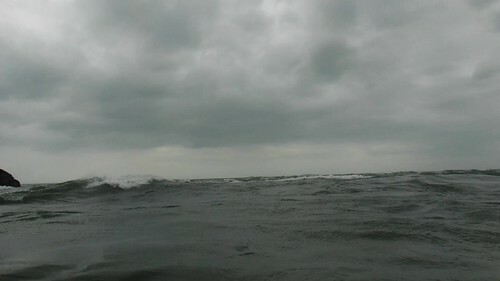 Gannets, choughs, auks, guls, cormorants and oystercatchers provided today’s aerial entertainment. 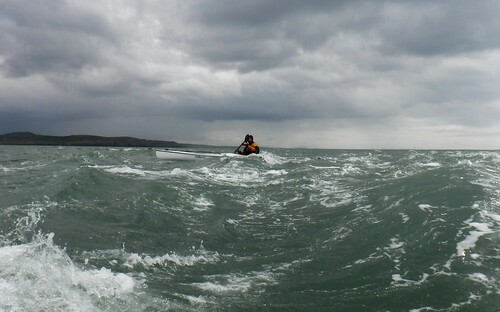 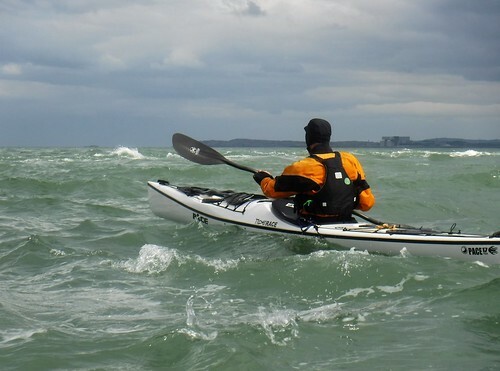 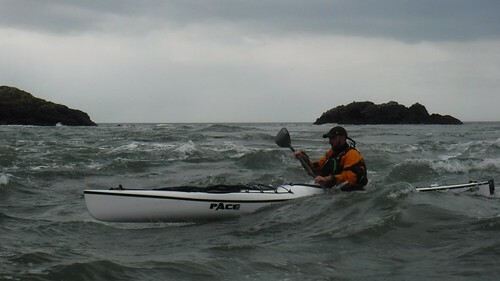 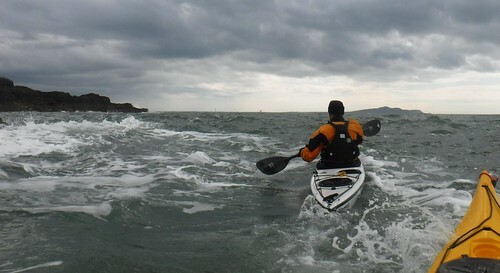 An atmospheric trip to The Skerries, from Cemlyn, with Ed. 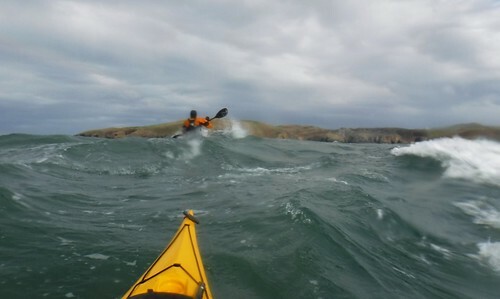 The spring ebbing tide and force 4 southerly winds provided wonderful sea conditions, particularly the superb surf at Carmel Rocks. 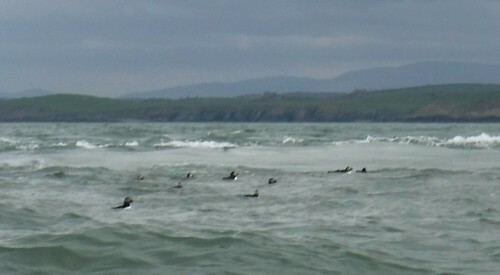 At The Skerries the seals were as playful as ever and the puffins were back for the nesting season. 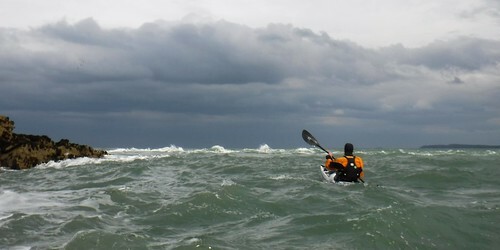 Clara enjoying Harry Furlough’s Tiderace.